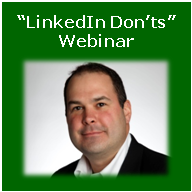 Mike Byrnes, President of Byrnes Consulting, will present 10 LinkedIn Mistakes to Avoid on Thursday, May 26, 2011 at 2:00 pm EDT, hosted by Arkovi. Request a flyer to learn more about hiring Mike Byrnes as a speaker. 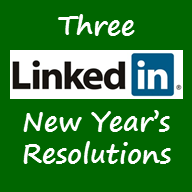 Contact Byrnes Consulting today to build a customized LinkedIn strategy to help your business become even more successful. 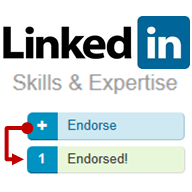 Do you have archives of your presentations available for viewing on LinkedIn? You have some wonderful material and articles, I was interested in following up with additional details if available.